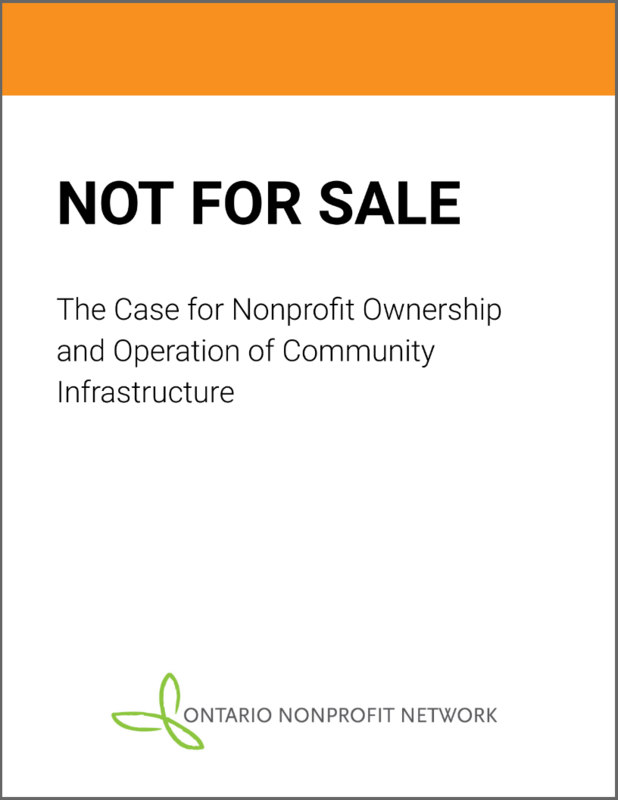 ONN’s new policy document Not For Sale: The Case for Nonprofit Ownership of Critical Community Infrastructure and Services makes an evidence-based argument that nonprofit (as opposed to for-profit) ownership of critical community infrastructure is the best way to ensure key community assets and services are not lost or diminished through profit-seeking pressures and the sale of capital assets. The experience of the UK with extensive for-profit involvement in community infrastructure is a warning to us in Canada. Whether in the area of transportation services, nursing homes, or the foster care of children, for-profit ownership of community infrastructure and operation of community services has left UK communities at risk, raised costs, and delivered inferior services. Not For Sale identifies the pressures that have led governments to turn to the private sector for delivering services and renewing our infrastructure. It examines the faulty assumptions about costs, risks and accountability on which this trend has grown and explains how collective assets and capital are removed from public or community ownership. There is a better way with public benefit organizations partnering with government to build and operate critical community infrastructure. We have the opportunity to benefit from hard lessons learned elsewhere and do it right by developing financing options that will provide permanent infrastructure in communities that will never be sold off because they are community-owned assets.